The New York Times reports a rise in visual illiteracy among parents. Only, that’s not quite the way the article puts it: instead, it notes that parents are pushing their children to read “big-kid” books earlier, steering them away from picture books, on the grounds that picture books are somehow lesser or easier. As a result, Julie Bosman (the article’s author) notes, fewer picture books are selling, and publishers are cutting back. This is The New York Times. And in terms of children’s and young adult literature, this is what they do. Some writer comes up with a topic in this field in which they know very little. They “research” that topic with a few interviews, an observation or two, and a quote from man on the street. She has a point. I regularly read the Times’ reviews of children’s books, and they’re very hit-or-miss. Sometimes, the reviewer will have considerable knowledge of the subject and do a great job; other times, the reviewer knows little or nothing about the field, and muddles through, often to the Times’ detriment. Though the real cause for declining picture book sales may be the economic downturn (a fact the Times piece mentions but downplays), the article does one thing very well: it accurately reflects the prejudice against children’s illustrators and illustration. When we write about a picture book, we always put the author’s name first and the illustrator’s name second. Sometimes, the illustrator’s name comes not after the author’s name but after the title. And it’s not uncommon for people to forget the illustrator all together. 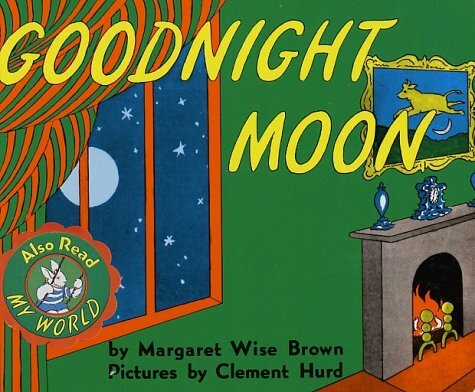 We refer to Margaret Wise Brown’s Goodnight Moon instead of Margaret Wise Brown and Clement Hurd’s Goodnight Moon or to Margaret Wise Brown’s Goodnight Moon, illustrated by Clement Hurd. Tellingly, the Times’ reporter quotes one author of picture books (Jon Scieszka), but no illustrators of picture books. The lack of attention paid to picture books’ artists is just a symptom of our culture’s tendency to dismiss illustration as less serious than writing. Though Ms. Gignac’s words were decontextualized, the idea of denigrating picture books as lesser rang true to many of the article’s readers — myself included. We could imagine a parent like Ms. Gignac expressing such a sentiment. This is one reason why the article prompted so much discussion in the blogosphere and on Twitter. Those of us who study, teach, or write picture books are used to hearing such ignorant remarks. The thought that such misinformed people were harming something we love — the picture book — made us upset. A picture book is a portable art gallery. It’s also an intricate dance between pictures and words, in which — though neither leads, and neither follows — no step is out of place, no dancers trip. A picture book can of course also be wordless, such as Istvan Banyai’s Zoom or Jerry Pinkney’s The Lion and the Mouse. But for most picture books, pictures and words have an interdependent relationship. The pictures do not simply “illustrate” the words, and nor do the words “name” the pictures. They work together, often in a creative tension with one another, to make meaning. I could be mistaken, but I’m skeptical of the claim that the picture book is in peril. Indeed, I think we are living in a golden age of picture books. Consider the astonishing work that has been published in just the last few years: Kadir Nelson’s We Are the Ship, Menena Cottin and Rosana Faria’s The Black Book of Colors, Brian Selznick’s The Invention of Hugo Cabret, Emily Gravett’s Wolves, and Mark Newgarden and Megan Montague Cash’s Bow-Wow Bugs a Bug. All of the books on that list — which is by no means a thorough or representative survey — were published in the last five years. News of the picture book’s demise has been greatly exaggerated. “The picture book is a portable art gallery.” Yes! That is a wonderful way of putting it. As long a children see picture books as objects to be touched and manipulated and even tasted, the picture book will not die. As long as there are children, there will be a need for picture books. As a writer, artist, illustrator, mom, and former child, I can’t imagine any adult suggesting the demise of picture books. I’m a librarian, and know first hand that picture books are essential. I still remember my mother reading Little Golden Books to me before I started elementary school, and the pictures are the first thing I remember. To say that pictures are not essential to a children’s story is the same thing as saying movies and TV don’t need images. You could just listen to the sound with no pictures. How many adults would agree with that hypothesis? I confess to feeling anger and disappointment at the NYT article. How could something be doomed which I loved so passionately, after all? Then I remembered Star Trek. They took it off the air despite mine and many other childish protests. Then I remembered Star Trek. It CAME Back, as movies, sequels, prequels, and tasty mg books. So I went back to work, happily on my PB-in-progress, plotting my revenge. Thank you for this post (and Claudia for pointing it out). You not only provided comfort but spoke eloquenty about the entire subject. Everyday I have hundreds of picture books pulled from our library shelves to be read and absorbed (I should know as I help to put them away and reorganize the area!) And some of my parents leave with shopping carts full of 30 or more picture books. The economy is an issue, and I suspect space is an issue too. My husband and I have had to stop buying most books simply because we’ve run out of room! Our son is the only one we still regularly buy books for. Thank you! I was upset about that article but am now willing it out of my mind. You’re right, there are so many fabulous new picture books (the Pigeon!) and they matter! And picture book illustrators rock!